Today marked a tremendous moment in our passage. 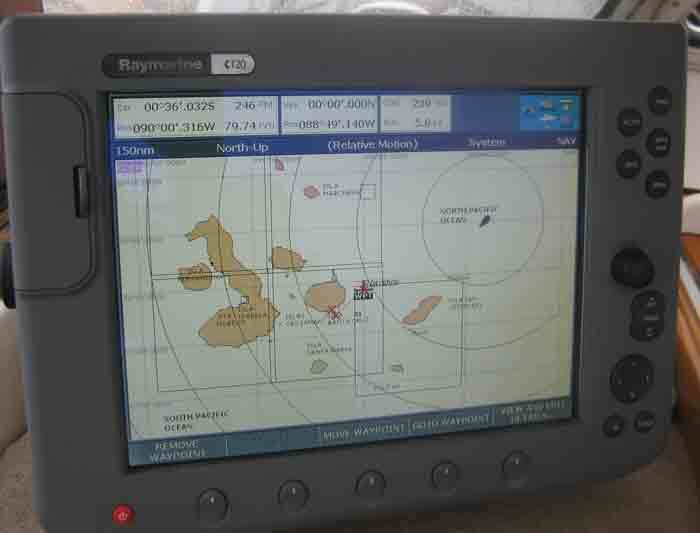 We crossed the equator for the first time in a boat. 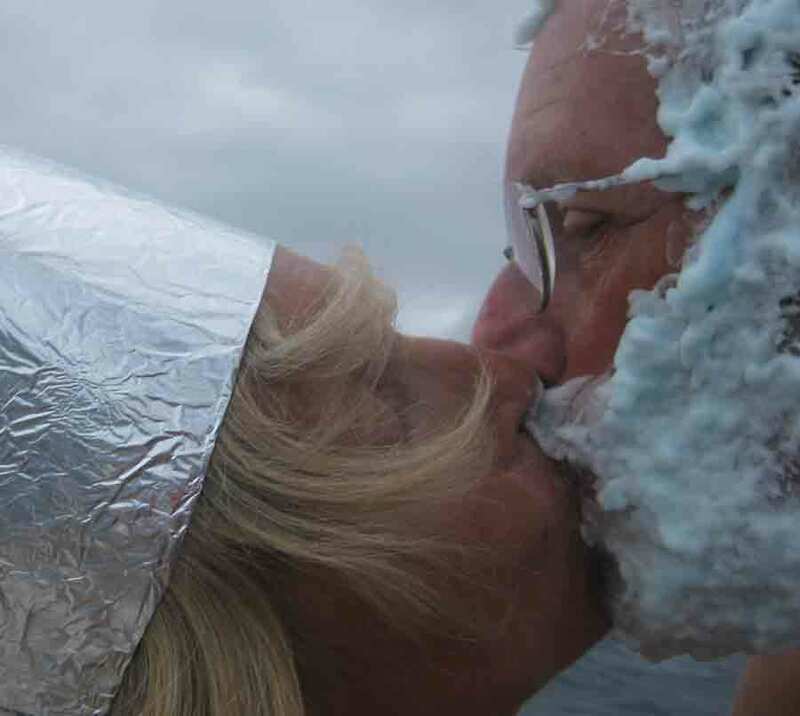 According to tradition before this event occurs, sailors are known as WOGS, short for (slimy) POLLIWOGS. 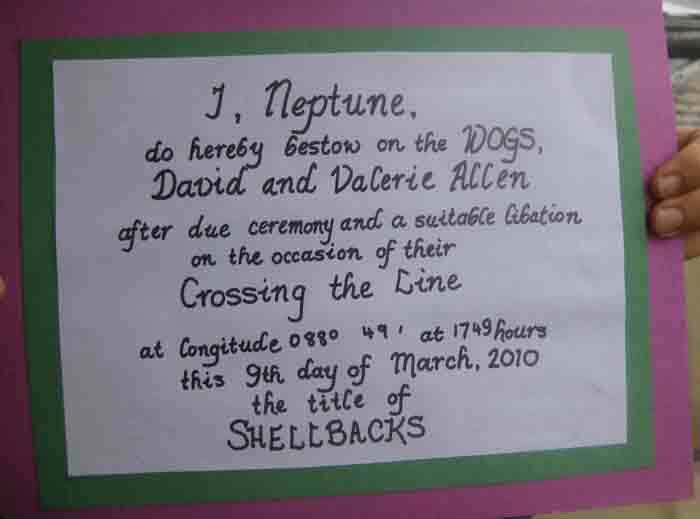 In order to rise to the level of (trusty) SHELLBACKS, they must go through a special Crossing the Line ceremony. 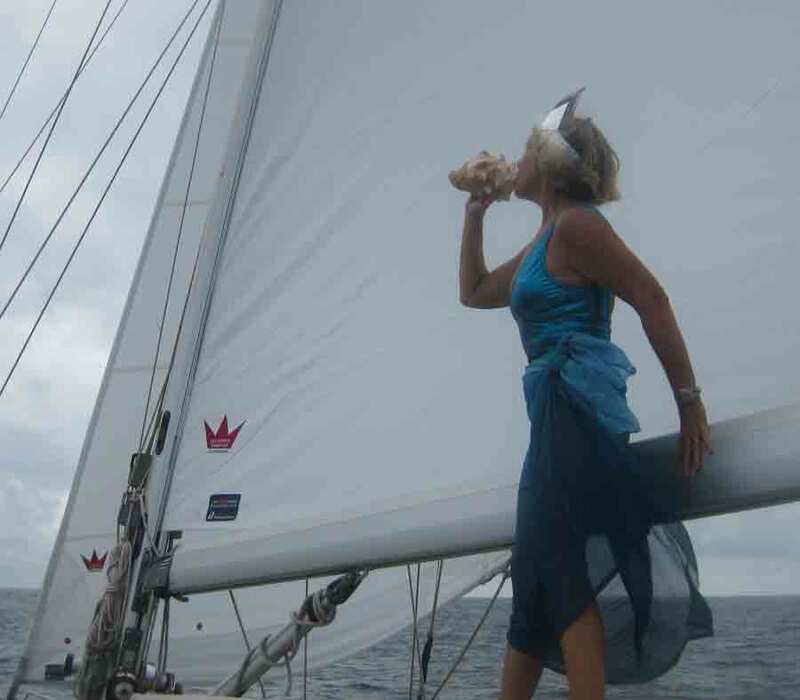 Normally, aboard naval and other such large vessels, this entails showing homage to NEPTUNE and imbibing and ingesting disgusting substances at the whim of the superior beings who are already Shellbacks, aka a form of hazing. With only two of us aboard, this did not seem appropriate. We devised our own ceremony. 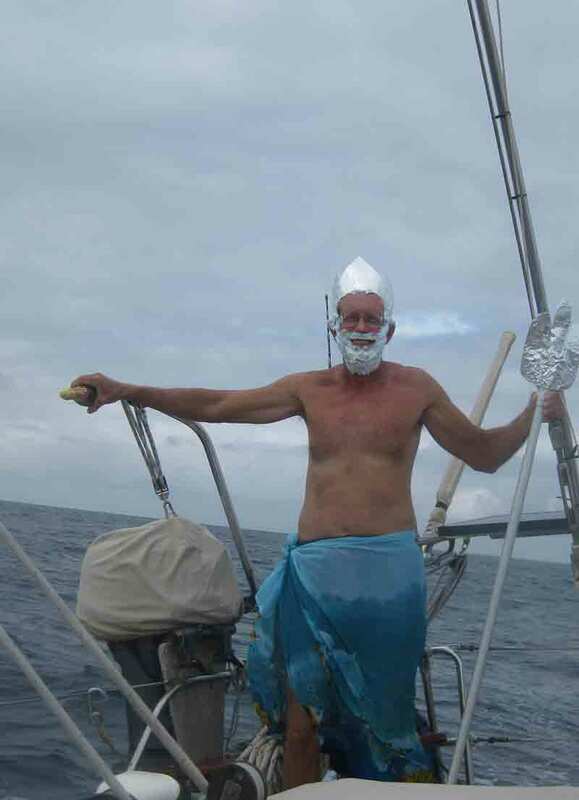 As the chartplotter and GPS revealed the magic numbers, I climbed atop the dodger dressed as Amphitre and blew my conch. Meanwhile, Dave, as Neptune, poured a libation to the god of the sea. 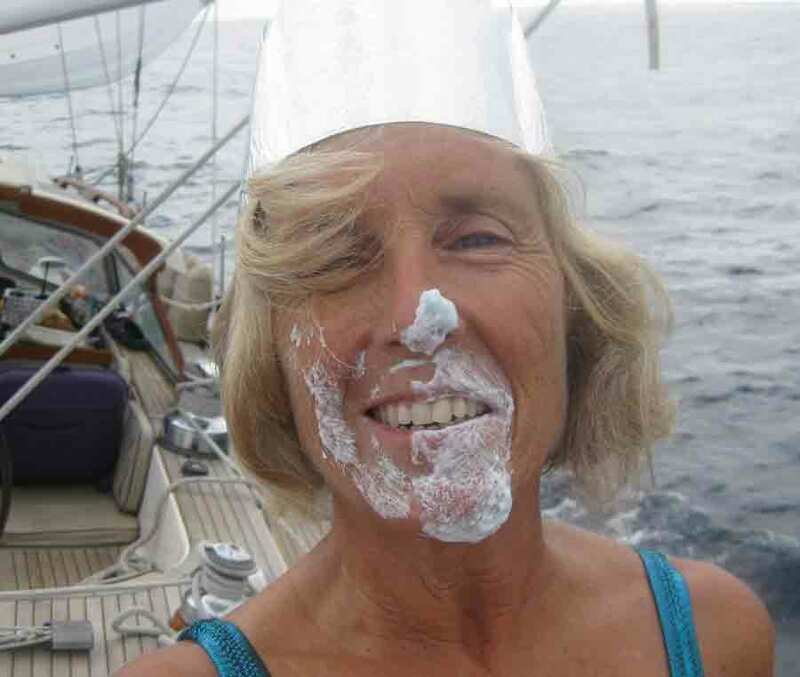 Then we shared a kiss- with rather unfortunate consequences for me! We then completed a certificate with the appropriate time and longitude. Here are the photos we took.